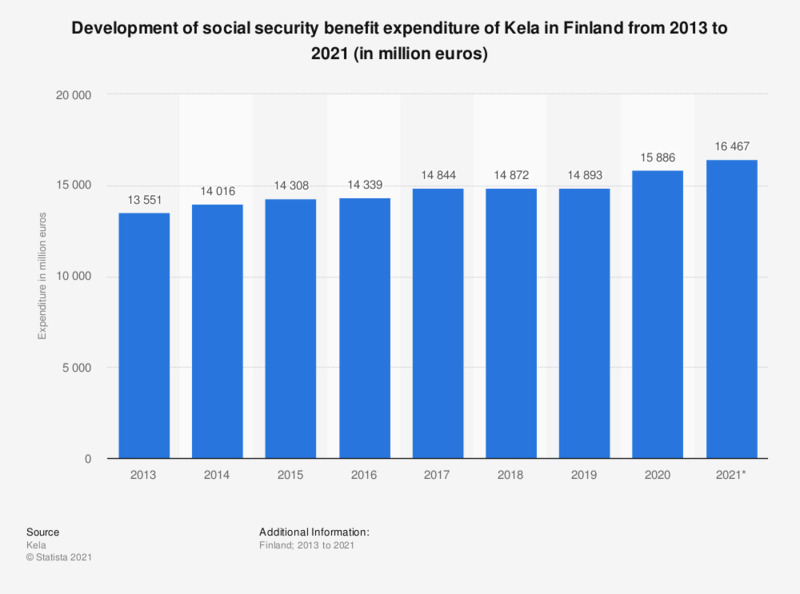 This statistic shows the development of expenditure on the Finnish Social Insurance Institution (Kela) benefits in Finland from 2013 to 2018. In 2018, the expenditure on all Kela benefits was expected to amount to roughly 15 billion euros. * According to the source, the figure is an estimate or a provisional figure.